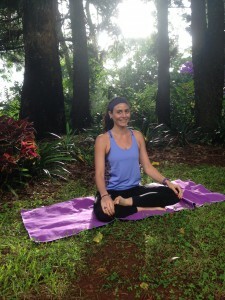 Share the post "Why Yoga for Brides?" My intention for our Wedding; which I repeated over and over continuously for the best part of 12 months. It was to be a simple Wedding – small, intimate, carefree and relaxed with only immediate family and best friends to join us. This was a reasonable expectation considering we were to be married on a remote tropical island in Fiji…. Looking back, I cannot express enough just how vital my Yoga practice was during this time. Despite my best intentions and most delicately laid plans, at times I found myself overrun by emotion. It was after all, the realisation of a life-long dream and it was the most important day of my life so far. There are very few women I know that didn’t start dreaming of the day they would marry from a very young age. The stakes are high and regardless of the individual circumstances surrounding your big day, inclusive of the size of your support network, for some reason ALL of the responsibility feels owned by you – the Bride. The truth of the matter is no one can possibly care about this day more than you do. It is an extremely vulnerable and at times overwhelming position to be in, some days you are floating on air at the prospect of your special day getting closer and all that the day symbolises for you and your fiancé; the next day an otherwise harmless comment from your mother / mother-in-law / brother / sister – whomever it may be, surfaces an over-reactive and irrational response followed by an emotional melt down which has you questioning all of those delicately laid plans you were so sure about only the day before. Again, this is an extremely vulnerable time in your life and every Bride will encounter some type of emotionally charged stress or anxiety before her Wedding arrives. In our modern-day society, often we focus primarily on those things that are superficial; in the sense that we give our attention to how things appear on the outside without much thought to what lies beneath the surface. This is a habitual occurrence that has culminated over time from our existence as physical, material beings. However, what lies beneath the surface directly and indirectly influences and affects everything that we see as a physical manifestation. It is safe to say that in general, through this habitual practice that most humans have become accustomed to, a Bride will spend much of her time focussing on not only her outward appearance, but the appearance of all things that make up her special day, without much consideration to how she is coping on the inside – her thoughts, emotions, stress, anxiety – and the physiological responses occurring as a result of these. This is why YOGA is an integral companion to any Bride-to-be. Yoga’s power lies in its ability to approach a person as a whole being, not just focussing on the outer shell but working from the inside out. This is what is referred to as a holistic approach – encompassing all components of body, mind and spirit to achieve a state of total and lasting well-being. 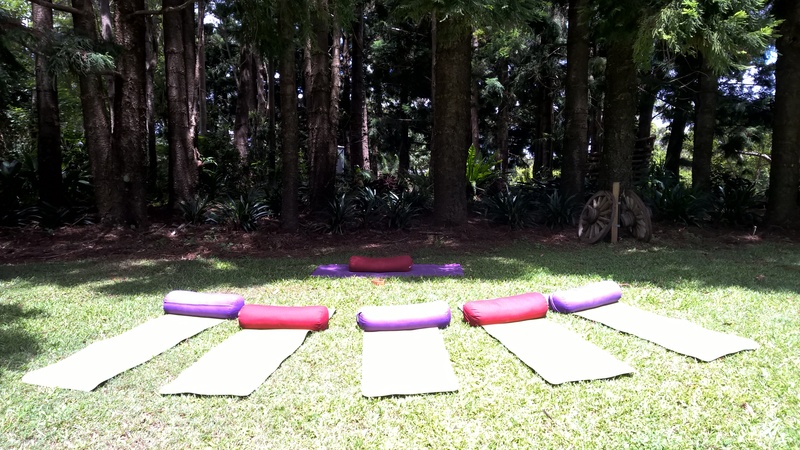 Yoga for Brides can include regular Yoga Classes; Mindfulness Meditation and visualisation techniques; personal coaching and lifestyle advice; a therapeutic Hen’s Retreat; even a de-stress class the morning of the Wedding – and let’s not forget the Honeymoon option which allows the opportunity for your new Husband to get involved! It is my personal experience that a regular Yoga practice can and will make the lead up to your Wedding as seamless and carefree as it can be. The Wedding itself will be met with a calm composure and surety otherwise overlooked by modern day Brides. It is the best possible gift you can offer to yourself; it is your Wedding day after all and it is ALL ABOUT YOU.